we cross over into territory both familiar and unknown. Her most recent novel is Watched (Wendy Lamb Books/Random House), a follow-up to Ask Me No Questions, and takes on surveillance in a post 9/11 era. Set in Queens, NYC, Watched tells the story of Naeem—a teenage boy who thinks he can charm his way through life. One day his mistakes catch up with him and the cops offer him a dark deal. Watched received an Asian/Pacific American Award for Literature YA Honor (APALA) and is an Honor Book for The Walter Award (We Need Diverse Books). Her newest novel, The Long Ride, about three mixed race girls during a 1970s integration struggle, is due out from Wendy Lamb/Random House in 2019. Marina also published her second co-authored book with husband Marc Aronson, Eyes of the World: Robert Capa & Gerda Taro & The Invention of Modern Photojournalism (Henry Holt & Co.) Among the first to depict modern warfare, Capa and Taro took powerful photographs of the Spanish Civil War that went straight from the devastation to news magazines. In so doing, they helped give birth to the idea of bearing witness with technology, bringing home tragedies from across the world. Eyes of the World is a 2017 YALSA Finalist in Nonfiction. Their previous book, Sugar Changed the World: A Story of Magic, Spice, Slavery, Freedom & Science, was a 2010 Los Angeles Times Book Award Finalist and also a YALSA Finalist in Nonfiction. Marina is the author of the young adult novels Tell Us We’re Home, which was a 2017 Essex County YA Pick and Ask Me No Questions, recipient of the first James Cook Teen Book Award, an ALA Best Book and Chicago Library’s Best of the Best, among other awards. She has published the adult novels The Professor of Light and House of Waiting, and a nonfiction book, Remix: Conversations with Immigrant Teenagers. 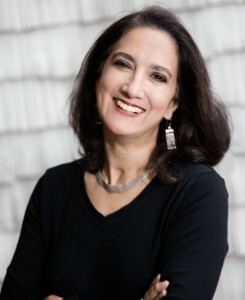 Her books have been published in several countries and her short stories, articles, essays, and book reviews have appeared in publications such as The Daily Beast, The Awl, The Huffington Post, LitHub, The Kenyon Review, Ploughshares, The Nation, Dissent, Marie Claire, Redbook, Travel & Leisure, the Los Angeles Times, and in anthologies. Marina has been a Fulbright Scholar to India, received an EMMA (Exceptional Merit Media Award), a Rona Jaffe Award for Women Writers, the 2018 Maplewood Literary Award, and two Fellowships from the New Jersey Council on the Arts. A graduate of Cornell and Brown universities, she is a professor of English at William Paterson University, and frequently gives talks throughout the country and abroad. She is married to the author Marc Aronson and lives in New Jersey with their two sons, Sasha and Rafi.